To commemorate British gold medal winners at the 2012 Summer Olympics and 2012 Summer Paralympics, postal companies including Royal Mail custom painted postboxes, a gold colour. Each Olympic gold medallist had a unique letterbox painted in recognition of their achievement, usually in their home-town. It marked the first occasion in modern times that the colour of postboxes in the United Kingdom had been changed from their traditional red. The project was launched on 24 July by painting the pillar box at Westminster Abbey, whilst the first athletes' boxes to be painted were in Lossiemouth, Moray, Scotland, and Penzance, Cornwall, England to commemorate the victory by Heather Stanning and Helen Glover in the women's coxless pair rowing. Do you want to find your nearest gold postbox? Throughout the world, the painting of postboxes different colours is not unusual. You would think that in Russia they would be red, but no they have custom painted postboxes in blue (1st class in yellow). In San Marino white, whilst in the Phillipines they are grey. Predictably they are green in Ireland and orange in Netherlands. 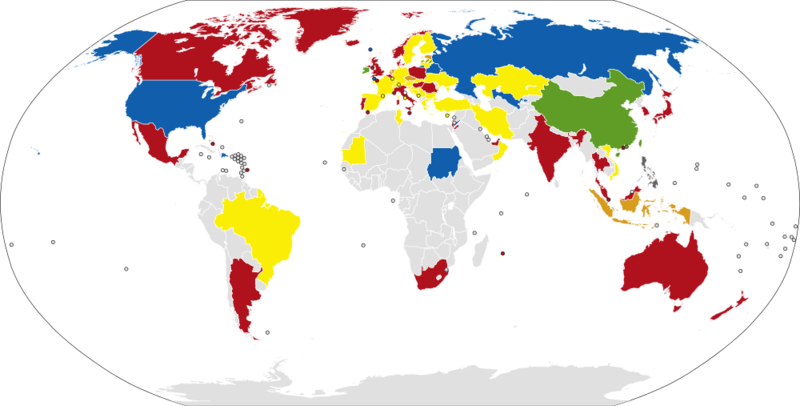 A map showing the different colors of post boxes around the world. Reference table lists the mail box colors by country in more detail. 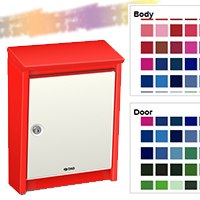 Simply select either a B110 letterbox or a Dome letterbox. If you have any questions regarding our postboxes, letterboxes, mailboxes or services, please contact us today.